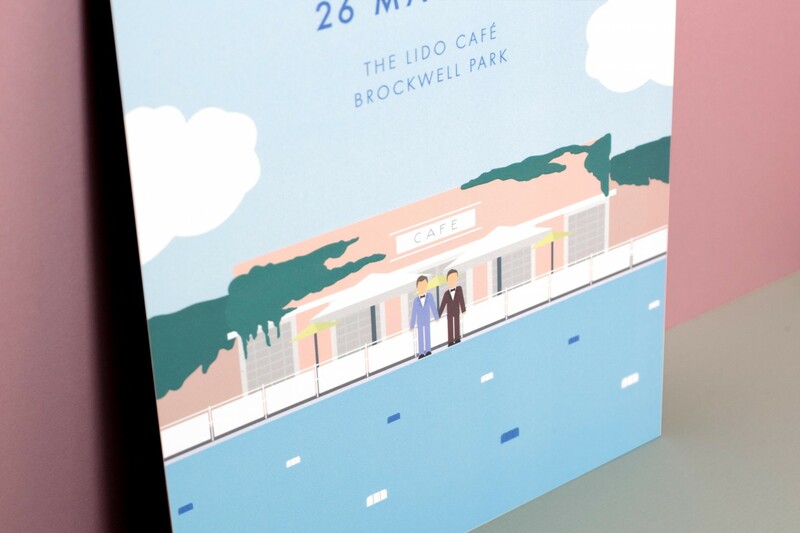 Nothing beats the joy that your guests will get from receiving a printed invitation inviting them to your wedding day! 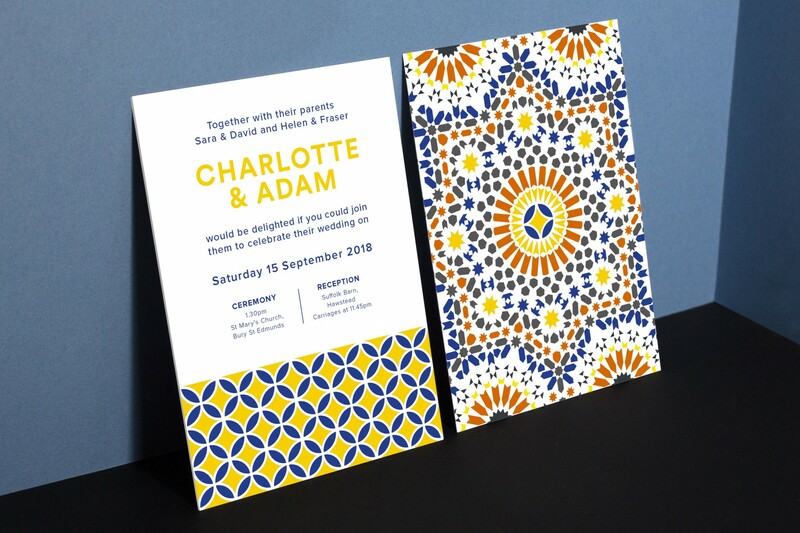 It sets the tone for your whole wedding and it’s a physical reminder that is often kept out on display in peoples homes keeping them excited for the months leading up to the celebrations! 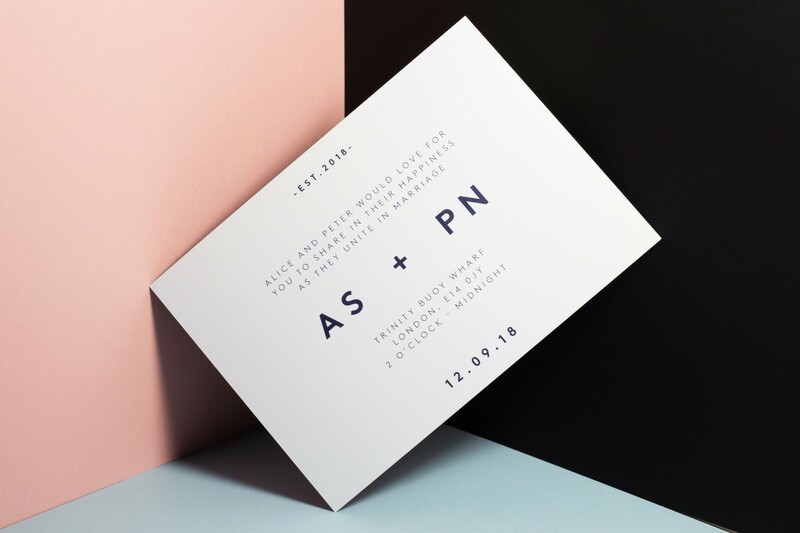 We offer two types of wedding stationery design, a bespoke package for those couples wanting something completely unique for their wedding stationery as well as pre-designed templates that can be customised to match your own wedding colours. Read below about each type to find out which suits your needs best. 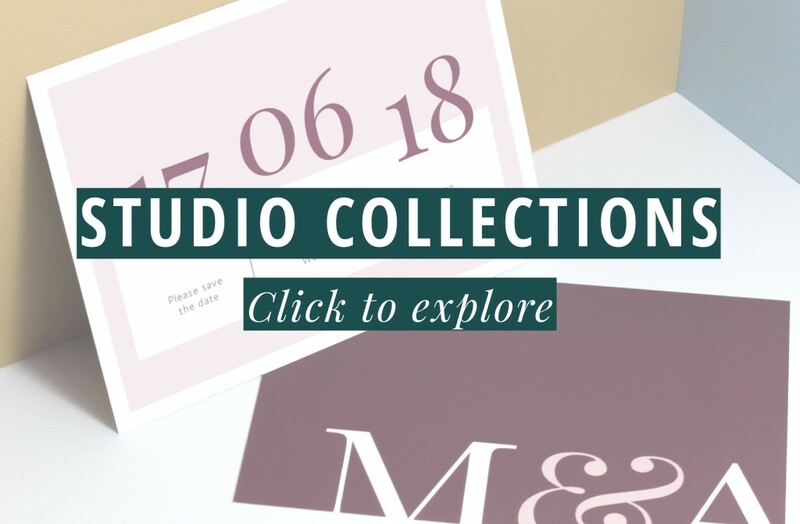 Perfect for couples who want modern, stylish stationery and don’t have a specific ‘theme’. These collections are also ideal for those who find design a bit daunting and like to see exactly what they are getting. 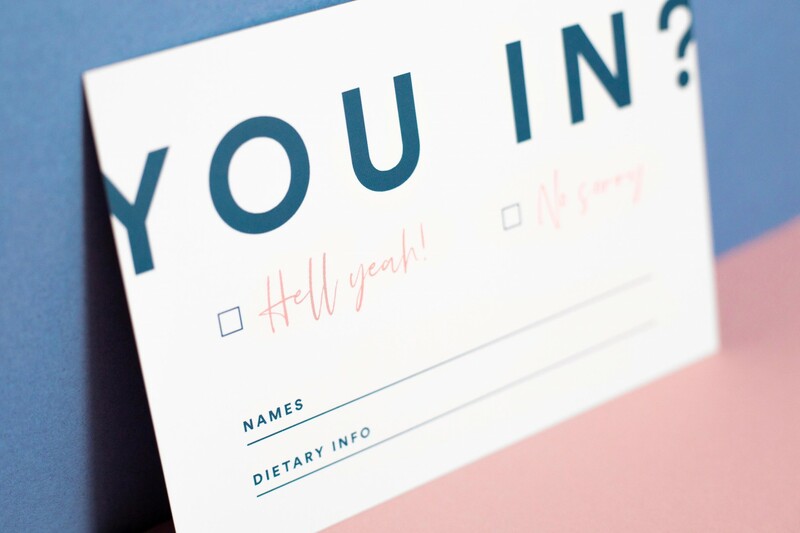 Our series of pre-designed stationery sets can be customised in ways such as colour changes and font changes to match your own preferences. Each item is individually priced and includes printing and production. 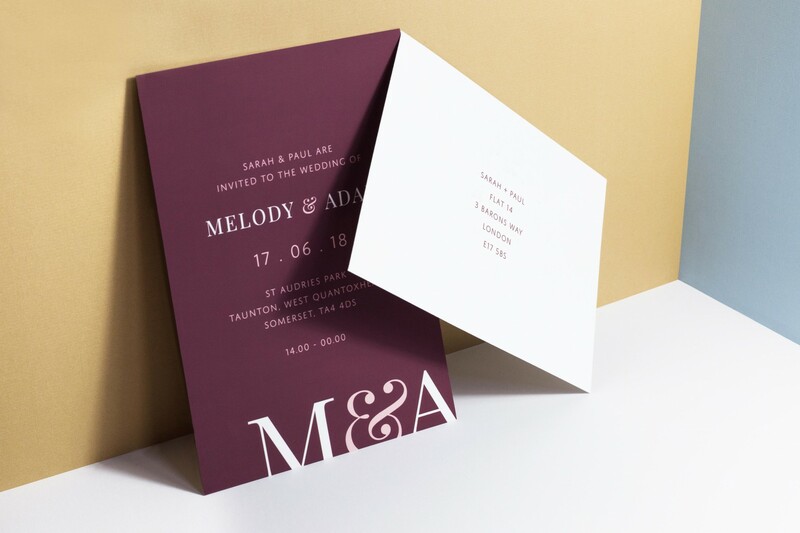 Our bespoke design service suits couples who perhaps already have an idea of what they want or are after unusual formats or printing techniques. 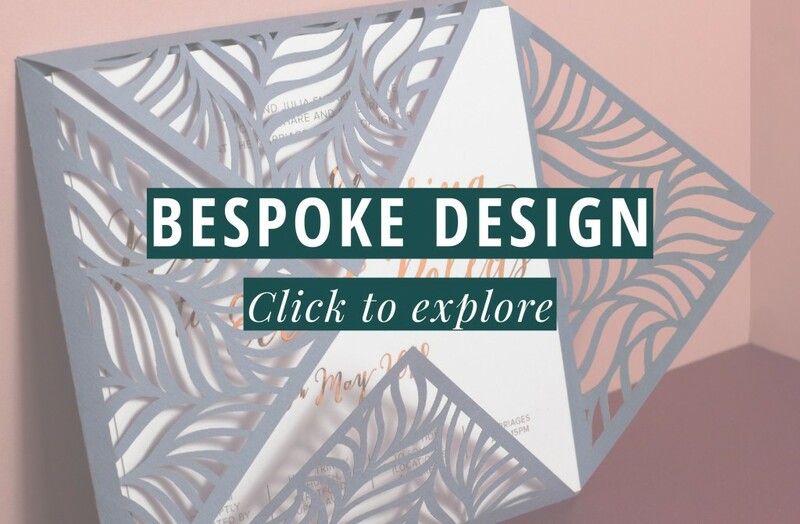 The bespoke service has a one-off design fee of £450 which gives you design assets for use across any stationery item from save the date to menus to your table plan. 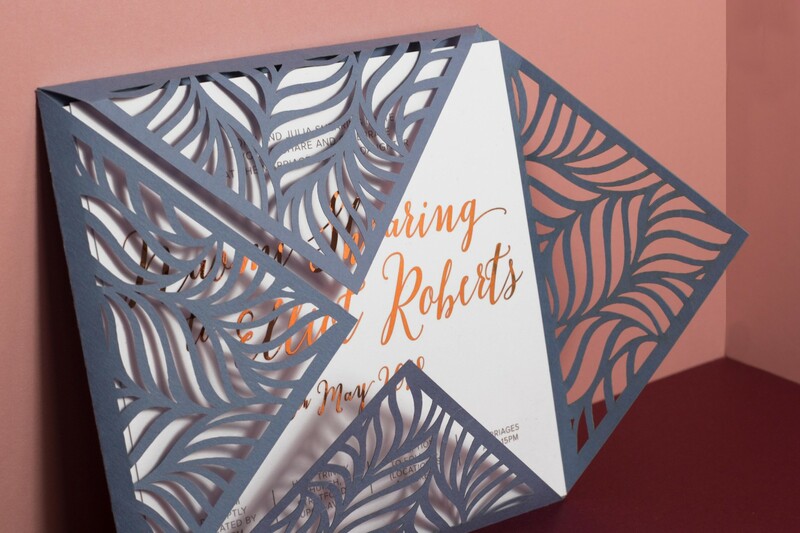 Each item is then priced individually based on the format and printing technique you desire.